Norman Herr (Ph.D., University of California, Los Angeles) is Professor of Science and Computer Education at California State University, Northridge, and a former high school science department chair. He has also worked as a chemist, community college science instructor, and consultant for the College Board, and has written many science education articles. 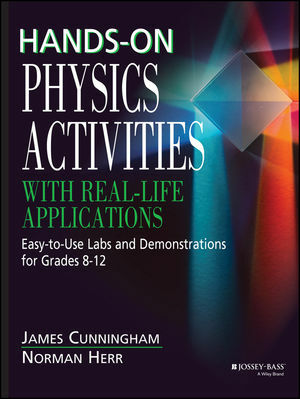 He is co-author with Dr. Cunningham of Hands-On Physics Activities With Real-Life Applications (1994) published by The Center. James Cunningham (Ph.D., Science Education, Syracuse University) is Professor of Science and Computer Education and Chair of the Department of Secondary Education at California State University, Northridge. 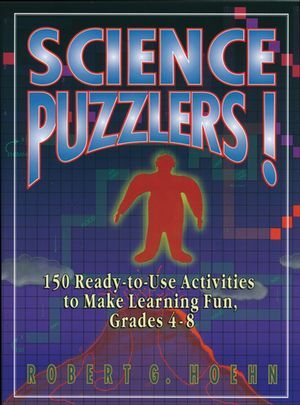 Formerly chair of high school departments of science and mathematics, he is author of Teaching Metrics Simplified, co-author of BASIC for Teachers and Authoring Educational Sofware, and co-author with Dr. Herr of Hands-On Physics Activities With Real-Life Applications. 1.1.3 Chemical Terminology: Understanding the Language of Chemistry. For the Teacher (Discussion and Answer Keys for Activities 1.1.1­p;1.1.3). 1.2.1 The Importance of Units. 1.2.3 Problem Solving (Dimensional Analysis). For the Teacher (Discussion and Answer Keys for Activities 1.2.1­p;1.2.3). 1.3.1 Length: Estimating and Measuring. 1.3.2 Area: Estimating and Measuring. 1.3.3 Volume: Estimating and Measuring. 1.3.4 Measuring Mass 1.3.5 Density of Solids. 1.3.8 Density of Solutions: The Mystery of the Strait of Gibraltar. For the Teacher (Discussion and Answer Keys for Activities 1.3.1­p;1.3.9). 2.1.1 Atoms are Mostly Empty Space. 2.1.4 Quantum Numbers and Electron Orbitals. For the Teacher (Discussion and Answer Keys for Activities 2.1.1­p;2.1.5). 2.2.1 Finding the "Missing Elements". 2.2.2 Designing Your Own Periodic Table. For the Teacher (Discussion and Answer Keys for Activities 2.2.1­p;2.2.4). 2.3.3 The Effect of Temperature on Diffusion. 2.3.4 The Effect of Molecular Size on Diffusion Rate. For the Teacher (Discussion and Answer Keys for Activities 2.3.1­p;2.3.7). 2.4.1 Relative Volumes of Solid, Liquid and Gas Phase. 2.4.2 Heats of Fusion and Vaporization. 2.4.3 Boiling: The Influence of Pressure. 2.4.5 Sublimation of Carbon Dioxide. 2.4.6 Triple Point; Phase Diagram of Carbon Dioxide. 2.4.7 Regelation: Phase Diagram of Water. For the Teacher (Discussion and Answer Keys for Activities 2.4.1­p;2.4.7). 2.5.1 Physical and Chemical Changes. 2.5.2 Separation of Pure Substances and Mixtures: Chromatography. 2.5.3 Identification of Physical and Chemical Changes. 2.5.5 Extensive and Intensive Physical Properties. 2.5.6 Identifying Unknowns by Physical and Chemical Properties. For the Teacher (Discussion and Answer Keys for Activities 2.5.1­p;2.5.6). UNIT THREE: CHEMICAL AND NUCLEAR REACTIONS. 3.1.1 Law of Definite Proportions. 3.1.3 Nonpolar and Polar Covalent Bonds. 3.1.4 Covalent and Ionic Bonds. For the Teacher (Discussion and Answer Keys for Activities 3.1.1­p;3.1.6). 3.2 Types of Chemical Reactions. 3.2.1 Composition (Synthesis, Combination) Reactions. 3.2.3 Single Displacement (Single Replacement) Reactions. 3.2.4 Double Replacement (Ion-Combining) Reactions. For the Teacher (Discussion and Answer Keys for Activities 3.2.1­p;3.2.6). For the Teacher (Discussion and Answer Keys for Activities 3.3.1­p;3.3.4). For the Teacher (Discussion and Answer Keys for Activities 3.4.1­p;3.4.6). For the Teacher (Discussion and Answer Keys for Activities 3.5.1­p;3.5.4). 3.6.1 Detecting Radiation with a Cloud Chamber. 3.6.2 Detecting Radiation with an Electroscope. 3.6.3 Detecting Radiation with a Geiger Counter. For the Teacher (Discussion and Answer Keys for Activities 3.6.1­p;3.6.4). UNIT FOUR: THERMODYNAMICS AND KINETICS. 4.1.2 Heats of Dilution and Solution. 4.1.5 Caloric Content of Foods. For the Teacher (Discussion and Answer Keys for Activities 4.1.1­p;4.1.8). 4.2.1 Heat Conduction in Metals. 4.2.3 Conduction: Davy Safety Lamp. For the Teacher (Discussion and Answer Keys for Activities 4.2.1­p;4.2.6) Applications to Everyday Life. 4.3.1 The Effect of Concentration on Reaction Rate. 4.3.2 The Effect of Temperature on Reaction Rate. 4.3.3 The Effect of Temperature and Concentration on Reaction Rate. 4.3.4 Catalysts, Reaction Rates and Activation Energy. For the Teacher (Discussion and Answer Keys for Activities 4.3.1­p;4.3.6). 4.4.1 Models of Dynamic Equilibrium. 4.4.3 The Effect of Concentration on Equilibrium. 4.4.4 The Effect of Pressure on Equilibrium. 4.4.5 The Effect of Temperature on Equilibrium. For the Teacher (Discussion and Answer Keys for Activities 4.4.1­p;4.4.5). UNIT FIVE: GASES, LIQUIDS, SOLIDS, AND MIXTURES. 5.1.2 Pressure-Volume Relationship of Gases (Boyle's Law). 5.1.3 Temperature-Volume Relationship of Gases (Charles's Law). 5.1.4 Hot Air Balloons: An Application of Charles's Law. 5.1.5 Temperature-Pressure Relationships of Gases (Gay-Lussac's Law). For the Teacher (Discussion and Answer Keys for Activities 5.1.1­p;5.1.7). 5.2.2 Classification of Dispersions: Solutions, Colloids, and Suspensions. 5.2.3 Brownian Motion in Colloids. For the Teacher (Discussion and Answer Keys for Activities 5.2.1­p;5.2.4). 5.3.2 Surface Area and Dissolution Rate. 5.3.3 Temperature and Dissolution Rate. 5.3.5 Solubility of Gases in Liquids. For the Teacher (Discussion and. For the Teacher (Discussion and Answer Keys for Activities 5.4.1­p;5.4.4). 5.5.4 Acid/Base Concentration, Equivalence, and Strength. For the Teacher (Discussion and Answer Keys for Activities 5.5.1­p;5.5.5) Applications to Everyday Life. 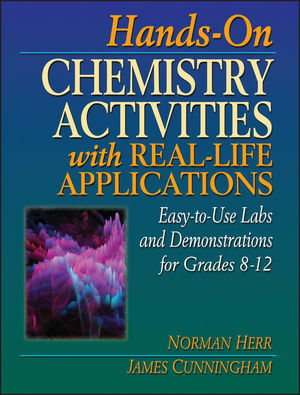 5.6 Acid and Base Reactions. 5.6.5 pH Control of Respiration. For the Teacher (Discussion and Answer Keys for Activities 5.6.1­p;5.6.5). 5.7.3 Growing Crystals; Crystal Shapes. 5.7.7 Rate of Crystallization and Crystal Size. For the Teacher (Discussion and Answer Keys for Activities 5.7.1­p;5.7.7). A.1 Units, Quantities, and Conversions. 1.1 Physical Quantities and Their SI Units. 1.3 SI and Customary Units and Conversions. 1.6 Vapor Pressure of Water. 2.2 Root Words Used Frequently in Chemistry. 2.3 Etymology of the Names of the Elements.